Malaria and Dengue are known to be the deadliest diseases spread by the mosquito bite. Recently the entire world is on high alert in the wake of Zika virus spread by Aedes mosquito bite. 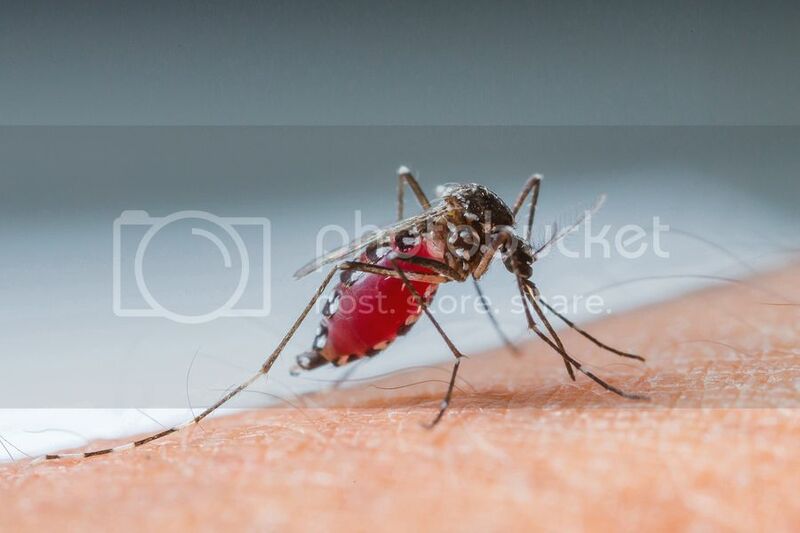 The gravity of mosquito bite is extremely alarming with thousands of people succumbing to mosquito bite induced diseases. There are many medicinal plants that repel mosquitoes. When grown in the living space, the active components released from these plants will keep the mosquitoes away from your house and surroundings. Some of such plants are: Citronella, lavender, catnip and feverfew. Burn neems incense or apply need essence to repel the annoying mosquitoes. Neem is a medicinal tree, widely grown in India for its antibacterial and antiviral properties. Neem can also chase the mosquitoes away from your surroundings when used in the form of oil, cream or essence. There are a whole lot of other plants and herbs like basil, eucalyptus, citrus, rosemary, mint etc that can be used in any form (oil/cream/incense) to keep the mosquitoes at bay. It is a well known fact that mosquitoes breed and multiply rapidly in stagnated water. Locate all the sources of mosquito habitat and empty the water content. This measure can be very beneficial in mosquito control. You can arrange for fumigation every 6 months to keep the mosquito population in check. Alternatively never allow water to stagnate in your surroundings. Including garlic in your everyday diet can not only keep you from infections but it can also help you to avoid insect bites. Garlic consumption will repel the mosquito when the mosquito tries to bite on your skin. A bowl full of beer is believed to be effective to throw the mosquitoes away from your house. Using coffee grounds to check mosquito population in stagnant water is another popular remedy. Coffee grounds are poured on the stagnant water source to make the eggs float on top so that they will be robbed of oxygen and die before hatching. Dish soap or soapy water is said to kill the insects instantly. As dish soap is easily available, they might as well come handy when there are lot of mosquitoes in the house. One can also consume apple cider vinegar regularly to lessen the chances of insect bites. Certain insects from our backyard can actually eat the blood sucking mosquitoes. One such insect is the dragonfly. Let your garden buzz with dragon flies and alternatively you can also grow plants that attract dragon flies. Bats are increasingly used as mosquito eaters in recent days. There are bat houses on sale in many neighbourhoods for those interested. Bats are nocturnal creatures that eat mosquitoes. Keep your garden as clean as possible. Empty cans, bottles or any such containers should be discarded to limit the breeding space for the mosquitoes. Ensure to dress light by using soft and light clothes that cover you up well enough to protect from mosquito bites. Summer nights can be quite annoying with the sweating and if there are mosquitoes, the bites. Human sweat is known to attract mosquitoes due to the bacterial presence in the sweat. Make sure to wear breathable clothes to avoid sweating. Cotton cloths are your best bet as they provide safety from insect bites and they are light and allow your skin to breath. Not many people are aware that fruit or floral scented products in the bathroom or toilets can attract mosquitoes. One can also remove any leftover food items, drinks or thrash to keep the place neat devoid of mosquitoes. Instead of using heavy floral or fruity scented sprays, soaps or hand washes, opt for herbal products that smell like basil, bergamot, peppermint, rosemary, lavender etc. These are also powerful mosquito repellents! Mosquito nets are age old tricks that keep mosquitoes at bay. Where To Buy Himalayan Salt.